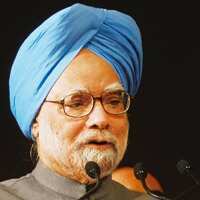 New Delhi: Prime Minister Manmohan Singh’s United Progressive Alliance (UPA) government will carry out large-scale financial sector reforms to catalyse economic growth and also step up public expenditure in education and health. “We need to ensure that the financial system can provide the finance needed for our development, and especially for infrastructure development. This opens up a broad agenda for reform," Singh said at Sunday’s opening of the India Economic Summit organized by the World Economic Forum. India’s growth rate, still the highest among major economies after China, slowed in the last fiscal from an average 9% in the previous three years as it felt the heat of the global financial crisis that caused credit markets to seize up and world trade to decline. The Congress party’s victory in three state assembly polls last month, after it led the UPA to a second successive term in power in the April-May general election, has strengthened the party’s hand. The Prime Minister said economic growth had to be driven primarily by domestic demand, which had to come through infrastructure investment. The drivers of growth need deep financial sector reforms, particularly in debt and derivatives, he added. “Some of the reforms needed, especially in insurance, involve legislative changes. We have taken initiatives in this area and will strive to build political consensus needed for these legislative actions to be completed," Singh said. The regulatory arms of the Union government have already started the process of rolling out more financial products to broaden the debt and derivatives markets. On 27 October, Reserve Bank of India (RBI) governor D. Subbarao released a quarterly monetary policy statement, which included the introduction of new financial instruments such as credit default swaps. According to Raghuram Rajan, professor at the University of Chicago and who headed a government committee on financial sector reforms in 2008, the changes are now critical to push growth in the economy. Rajan, who heard Singh’s speech, told Mint that the challenge lies in finding ways in which savings could be effectively channelled into infrastructure financing. “We don’t lack for financing," Rajan said, but only for effective ways to push funds where they are needed. Within the broad area of financial sector reforms, reforms of the corporate debt market would be critical, he said. After his speech, Singh who took a few questions from the audience, moved to other areas in urgent need of policy attention. He picked education and healthcare as two areas closest to his heart. “We should have done a lot more in these two areas," Singh said. Singh said he hoped to step up public sector investment in education and health to 6% and 2.5% of gross domestic product (GDP), respectively. “These are the two most critical areas, which have a bearing on our capacity and on our ability to achieve the objective of inclusive growth," Singh said. Moving beyond domestic policies to international negotiations on climate change, Singh signalled that India would be proactive in the global effort to find solutions, but reminded the audience that industrialized countries accounted for the bulk of the greenhouse gas emissions. “Climate change is a reality. It is today a global problem. We are as much affected in some ways more affected, than some other countries," Singh said. “It is our hope that while all the countries would be required to contribute according to their capacities and abilities, the world’s major economies will be prepared to create an environment in which long-term capital flows will become available for mitigation and also a technology regime is put in place where developing countries would access at affordable costs." Financing technologies for climate change mitigation has been a key item on the agenda of the last two Group of Twenty (G-20) meetings. Mukherjee is in Scotland to attend a G-20 meeting where financing climate change mitigation is on the agenda.